1 cup fresh sliced veggies (carrots, peppers, celery, radishes, kohlrabi root, beets, cauliflower, broccoli, or sugar snap peas). Slice a variety of veggies in advance, and store in your refrigerator. 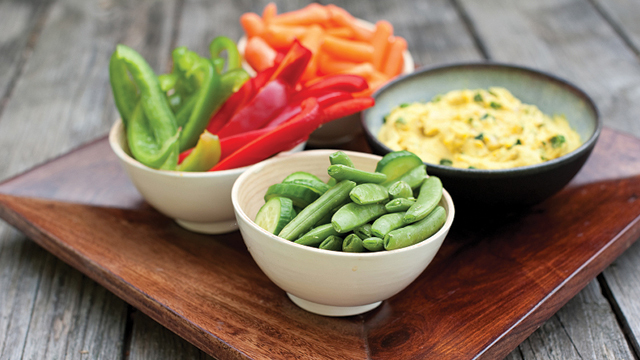 When hunger strikes, dip a few in your favorite hummus, and enjoy! How much hummus constitutes one serving? Typically, a serving size is about 2-3 tablespoons. Let us know if you have any favorite veggie combinations! Hi Natalia, thanks for letting us know. These links have now been updated. Enjoy!